THE JOURNEY CONTINUES. . . The fifth edition of The Process of Cultural Competence in the Delivery of Healthcare Services: The Journey Continues…, continues the journey towards cultural competence in healthcare delivery and becoming a culturally competent healthcare professional by introducing the reader to new and updated content in transcultural health care including culturally sensitive medication assessment tools; a student version of the IAPCC-R© (IAPCC-SV©) (link); tips for conducting a melanocentric physical assessment; exploring Chapman’s (2005) concepts of “Sacred Encounter,” “Servant’s Heart” and “Radical Loving Care” as they apply to becoming culturally competent; effectively managing cross-cultural conflicts with compassion; and incorporating the concepts of sacrifice, social justice, lethal “isms,” linguistic competence, health literacy, and non face-to-face cross-cultural encounters into the model’s constructs of cultural awareness, cultural desire, cultural skill, cultural encounters and cultural knowledge. The table of contents of the book is available for your review. The Biblically Based Model of Cultural Competence in the Delivery of Healthcare Services defines cultural competence as the ongoing process in which the healthcare professional continuously strives to achieve the ability and availability to work effectively within the cultural context of the patient (individual, family, community) from a biblical perspective. 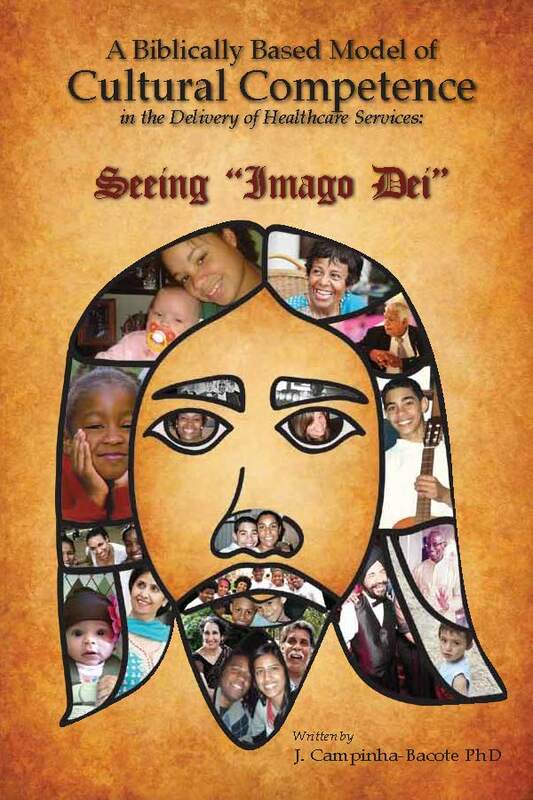 This process requires healthcare professionals to see the image of God (“imago Dei”) in their patients as well as see themselves as becoming culturally competent rather than being culturally competent. The model is intended to serve as a guide to assist healthcare professionals in integrating the biblical virtues of love, caring, humility, love of truth, teachableness, intellectual honesty, wisdom, discernment, justice, prudence, attentiveness, studiousness, practical wisdom, understanding, temperance, patience and compassion into the model’s constructs of “imago Dei“, cultural desire, cultural awareness, cultural knowledge, cultural skill and cultural encounters. In exploring the Biblically Based Model of Cultural Competence in the Delivery of Healthcare Services, several strategies for maintaining a biblical worldview during the process of becoming culturally competent will be presented. It is my hope that this book will stimulate a renewed interest in enhancing healthcare professionals’ level of cultural competence by connecting them to the intellectual and moral virtues that are found within the Bible. 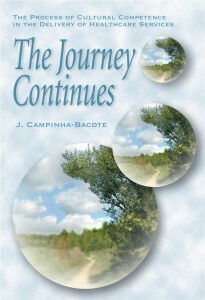 The table of contents of the book is available for your review.